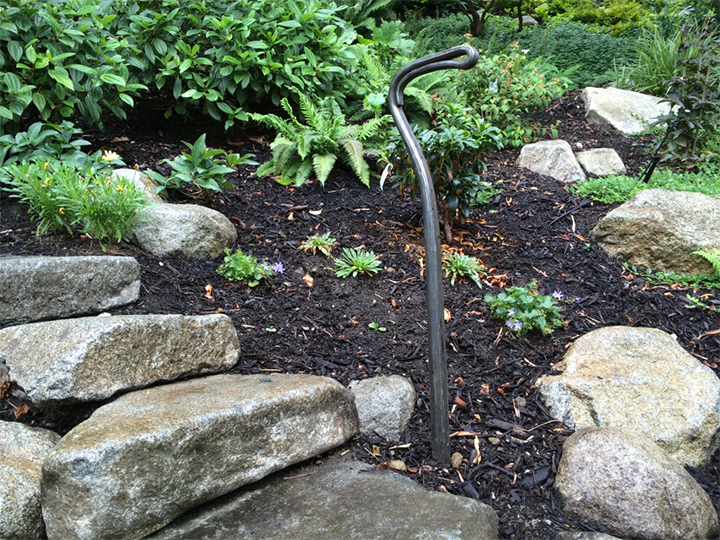 These forged stainless steel posts provide key hand holds along this steep path. 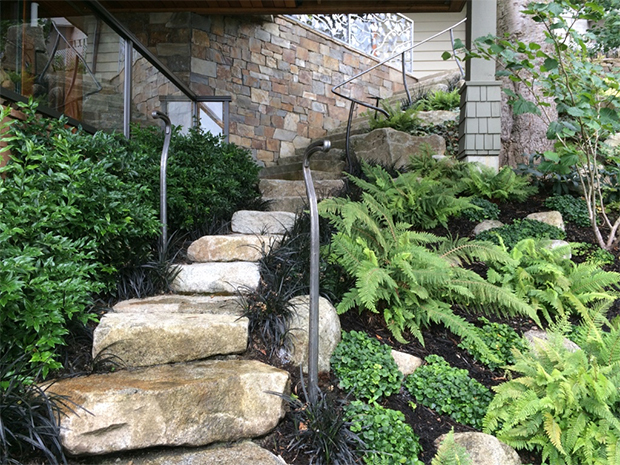 Unlike a conventional handrail, these allow one to easily step off and into the garden to work. 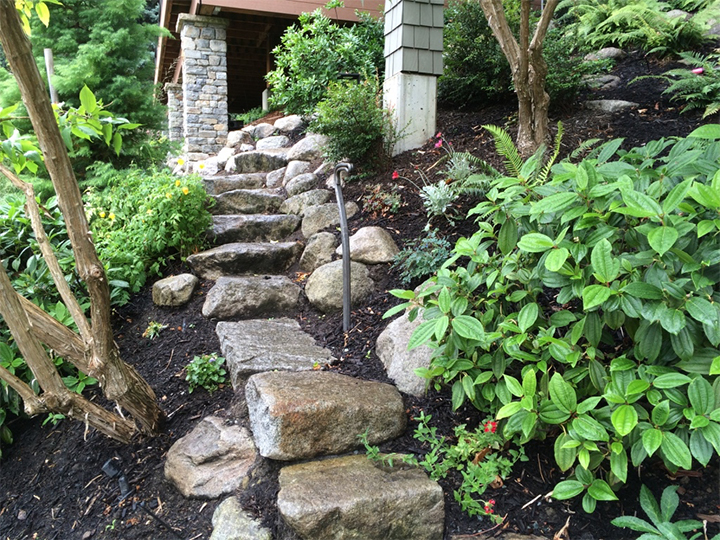 The amazing stone work was created by Borrowed Ground.